We're running out of effective antibiotics, and people are starting to die as a result. The problem is so acute that the World Health Organization has declared this week, Nov. 16-22, Antibiotics Awareness Week – but antibiotic discovery is still lagging. It's a big challenge, but UConn students are taking a grass-roots approach to solving it. In some cases, literally. "I wanted to know what people come into contact with every day. So I took a sample right from under a girl sitting on the grass," says Sabrina Yum-Chan, a psychology major in a first-year seminar, "Microbe Hunting: Crowdsourcing the Discovery of New Antibiotics," taught by molecular and cell biology faculty members Nichole Broderick and Patricia Rossi. The seven students in the class, all freshmen, collected soil samples, grew out the bacteria they found, and are now testing them for antibiotic activity. But eventually bacteria became resistant to penicillin. So new antibiotics were developed, but bacteria evolved resistance to these new drugs in turn, requiring a steady stream of new antibiotics to keep sickness-causing bacteria at bay. And since the mid-'80s, new antibiotic discovery has plummeted. Pharmaceutical companies don't find antibiotics a profitable line of research, as it can take a decade to find and test a single drug to the FDA's satisfaction, but just months for resistance to appear. Now researchers and students around the world are picking up the slack. 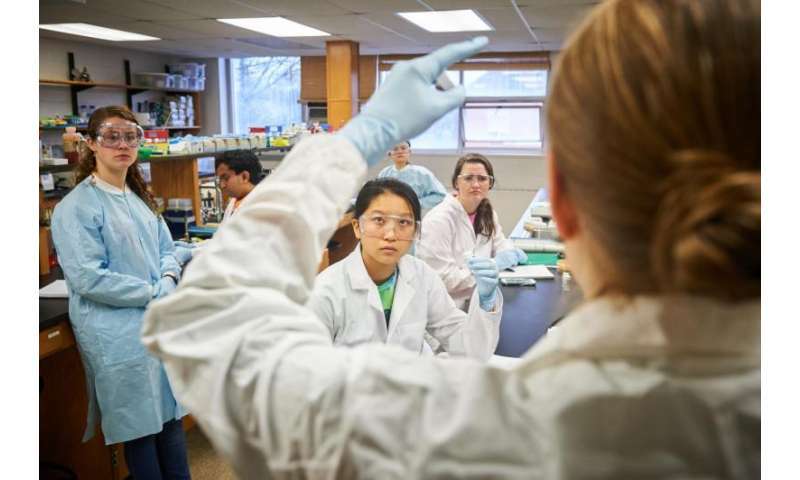 The Microbe Hunting class at UConn is part of a global collaboration between students and microbiologists at 109 schools in 32 U.S. states plus Puerto Rico, and eight other countries, including Belize, Canada, Iraq, Jordan, Malaysia, Nigeria, the Philippines, and the U.K. It's called the Small World Initiative. "The grand goal is to find new antibiotics," Broderick says. She began teaching the class when she worked with Jo Handelsman, one of the founders, at Yale University, and brought it to UConn as an Honors seminar when she accepted a position here this year. The students take it because it's a mini-foray into real research that gives them the opportunity to make their own choices and test the results. The first choice was where to sample. Many students took bits of soil from around campus, but others went a little farther afield. Kristin Burnham took a sample from Farm Creek, an estuary in Norwalk, Conn., where her family lives. And Broderick doesn't want their work to go to waste. 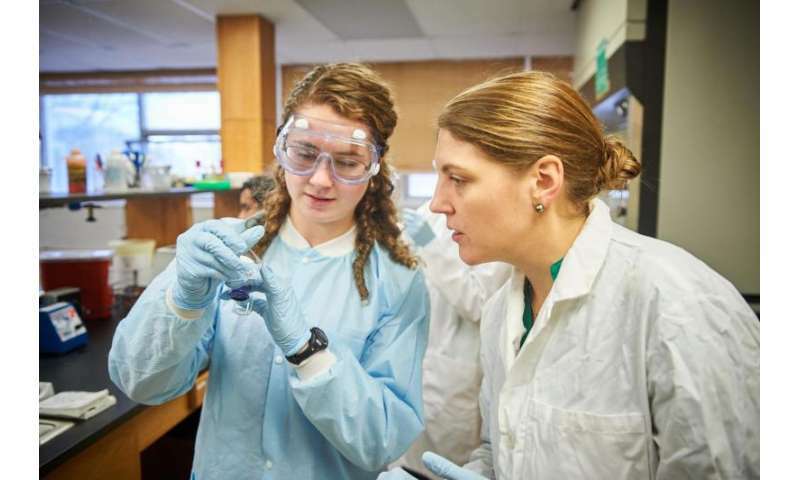 She is collaborating with the Small World Initiative to develop a chemical hub, a place to send the extracts and bacteria discovered by the students so others can follow up and investigate promising compounds. 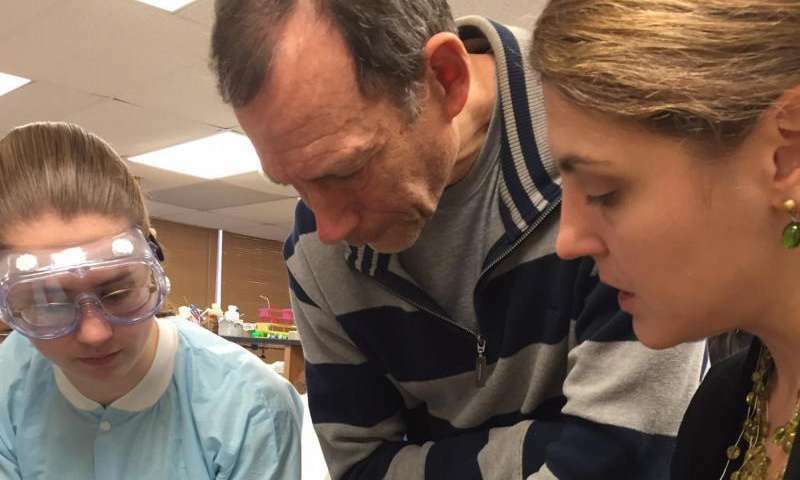 "For the students to just identify the bacteria [with antibiotic activity] is a good project. But to characterize and test the active compounds can take two or three years," says Amy Anderson, a UConn professor of medicinal chemistry who specializes in developing new types of antibiotics. That's why the chemical hub Broderick and other Small World Initiative members are working on is important. "To make those bacteria available to someone else who wants to take that on is really valuable," Anderson says. 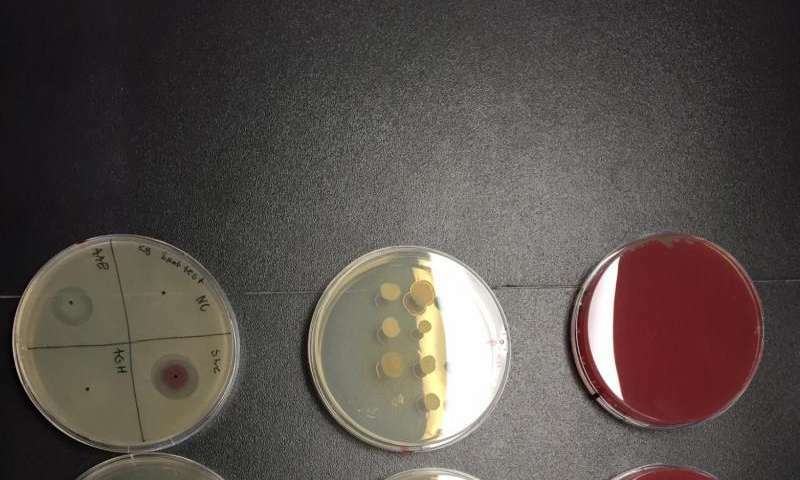 She noted that a single genus of soil bacteria, Streptomyces, has in the past led researchers to three different types of antibiotics. As another of the students commented as she walked by carrying a beaker of bright magenta bacterial extract, "It feels like we're doing actual, relevant science."